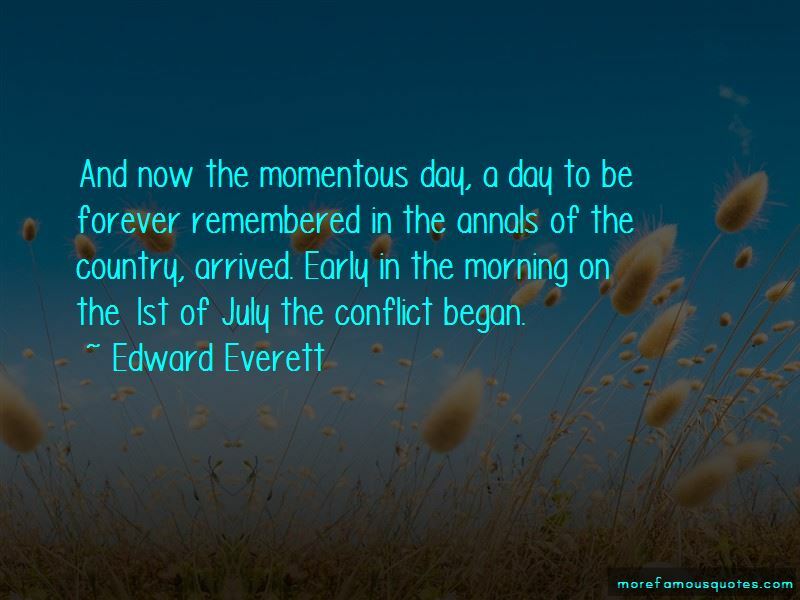 Enjoy the top 37 famous quotes, sayings and quotations by Edward Everett. Agriculture seems to be the first pursuit of civilized man. 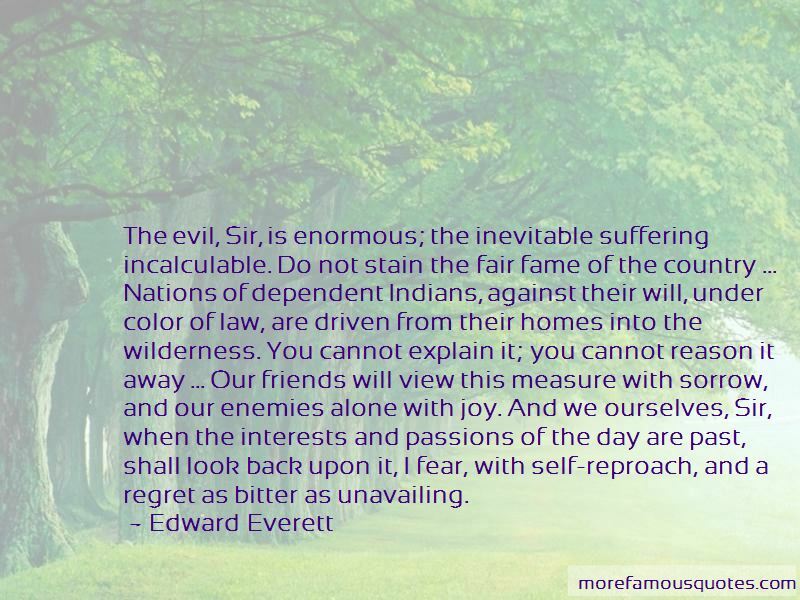 It enables him to escape from the life of the savage, and wandering shepherd, into that of social man, gathered into fixed communities and surrounding himself with the comforts and blessings of neighborhood, country, and home. It is agriculture alone, that fixes men in stationary dwellings, in villages, in towns, and cities, and enables the work of civilizations, in all its branches, to go on. An earthly immortality belongs to a great and good character. History embalms it; it lives in its moral influence, in its authority, in its example, in the memory of the words and deeds in which it was manifested; and as every age adds to the illustrations of its efficacy, it may chance to be the best understood by a remote posterity. Beneath a free government there is nothing but the intelligence of the people to keep the people's peace. Order must be preserved, not by a military police or regiments of horse-guards, but by the spontaneous concert of a well-informed population, resolved that the rights which have been rescued from despotism shall not be subverted by anarchy. This glorious union shall not perish! Precious legacy of our fathers, it shall go down honored and cherished to our children. Generations unborn shall enjoy its privileges as we have done; and if we leave them poor in all besides, we will transmit to them the boundless wealth of its blessings! Drop a grain of California gold into the ground, and there it will lie unchanged until the end of time; ... drop a grain of our blessed gold [wheat] into the ground and lo! a mystery. 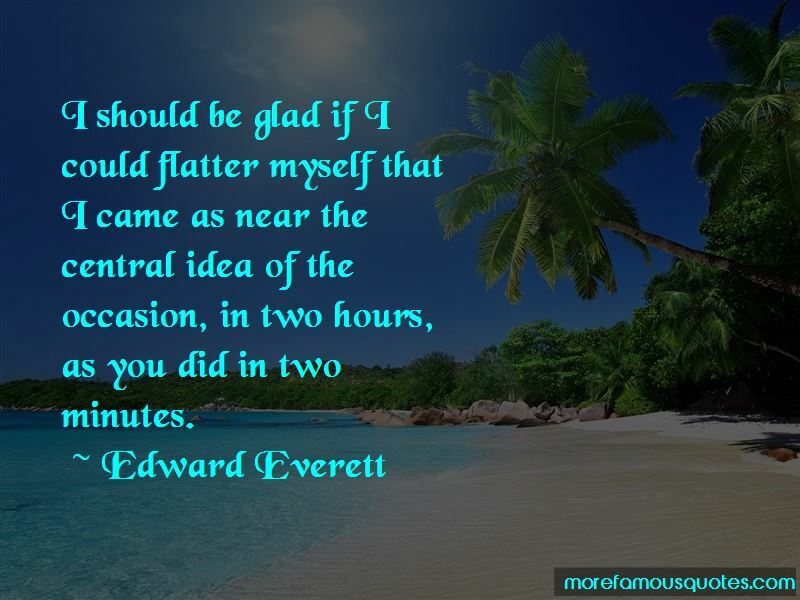 Want to see more pictures of Edward Everett quotes? 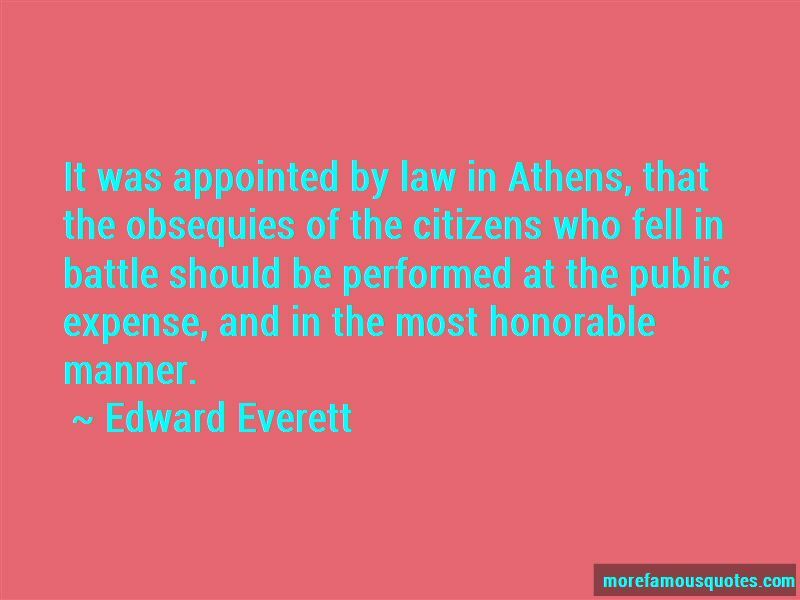 Click on image of Edward Everett quotes to view full size.